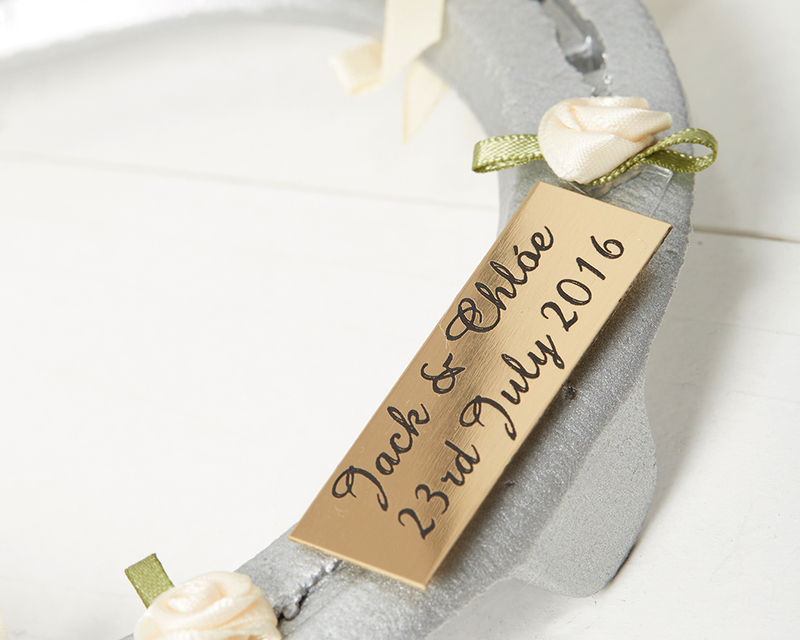 To start, please choose between a standard ribbon, in your choice of colours, or a customised printed ribbon with your choice of text. 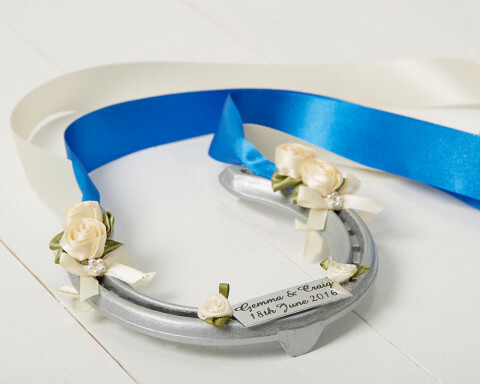 Based on our standard service, we'll dispatch your horseshoe by 25/04/2019, but if you need it faster, please call us before ordering. 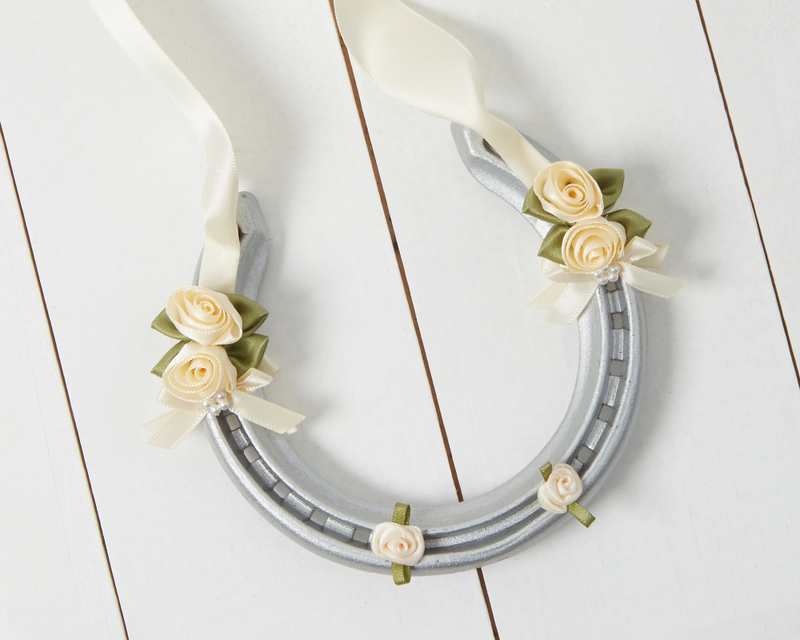 Tradition indicates that a used horseshoe can bring more luck. 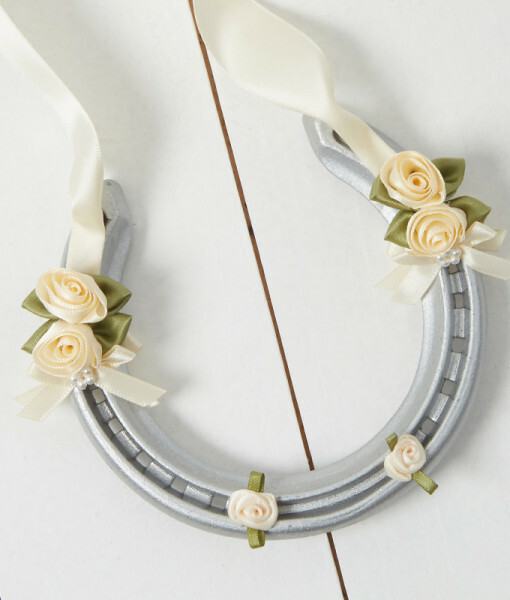 Each traditional horseshoe is crafted from an authentic used horseshoe. A professional cleaning and coating process obtains a beautiful enamelled, silver finish. 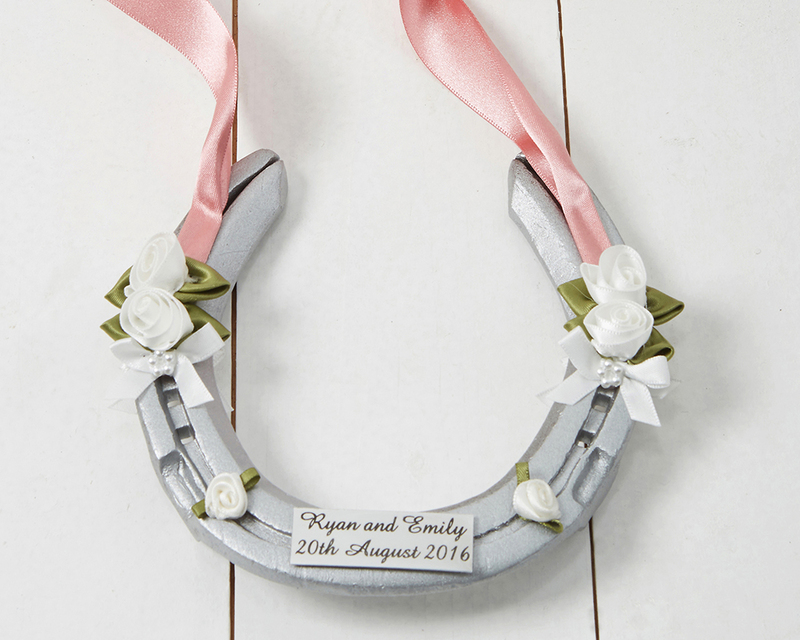 Each horseshoe is then tastefully decorated with delicate silk roses and a single or double ribbon in a wide range of colours for a truly bespoke gift. 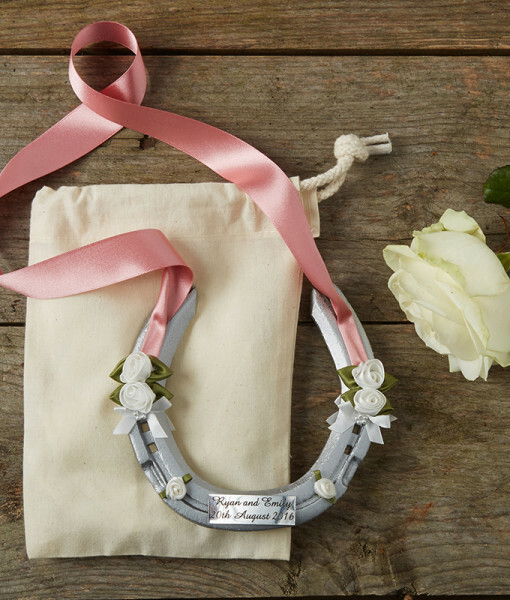 Each Traditional horseshoe measures approximately 4 ¼ inches in diameter. 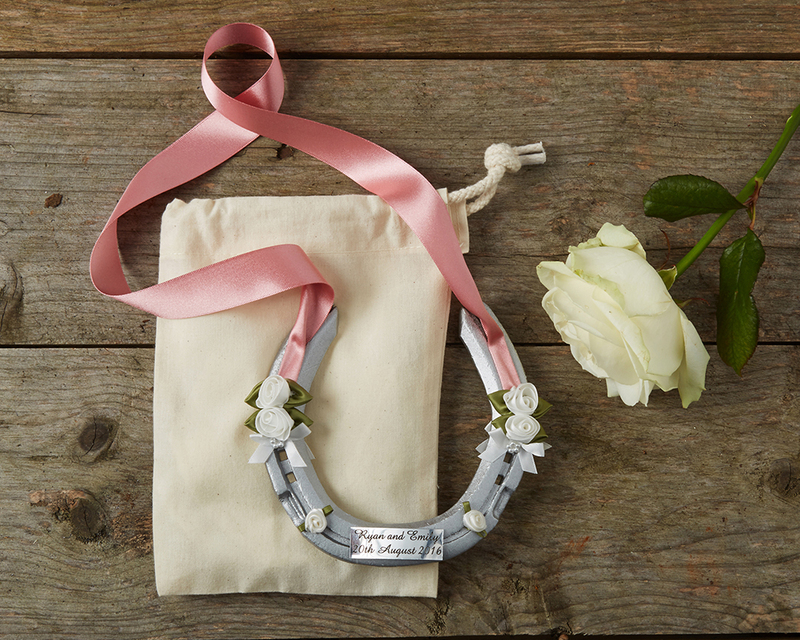 A unique gift for any bride, bridesmaid or other wedding guest. 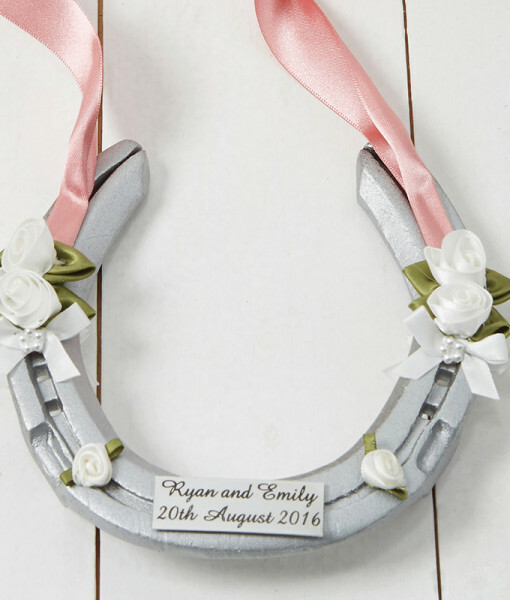 Each Traditional Wedding Horseshoe can be supplied in a cotton drawstring gift bag. Can’t see what you require? 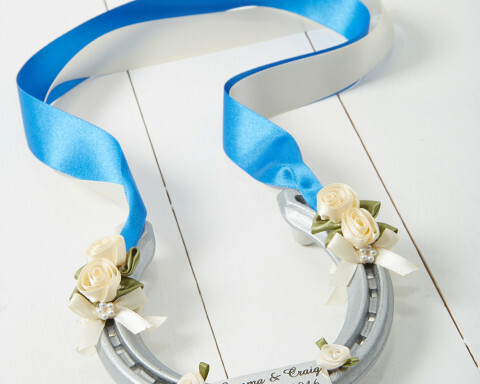 Please Contact Us with your requirements and weddinghorseshoes.co.uk will discuss your proposed design. We accept colour swatches prior to manufacture to ensure a perfect match to any colour theme. 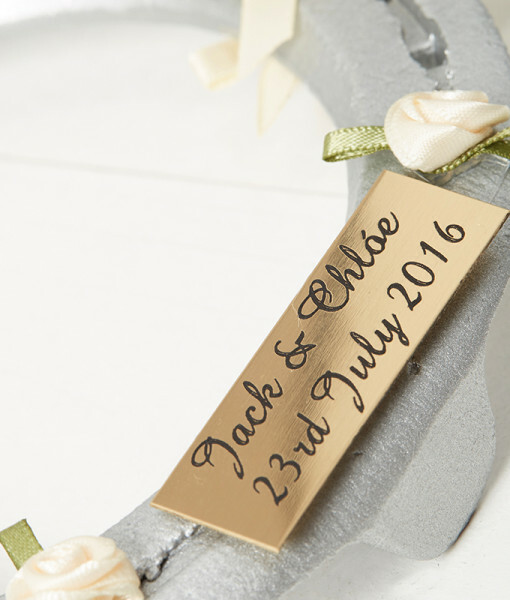 For that individual touch, add a personalised, engraved plate.